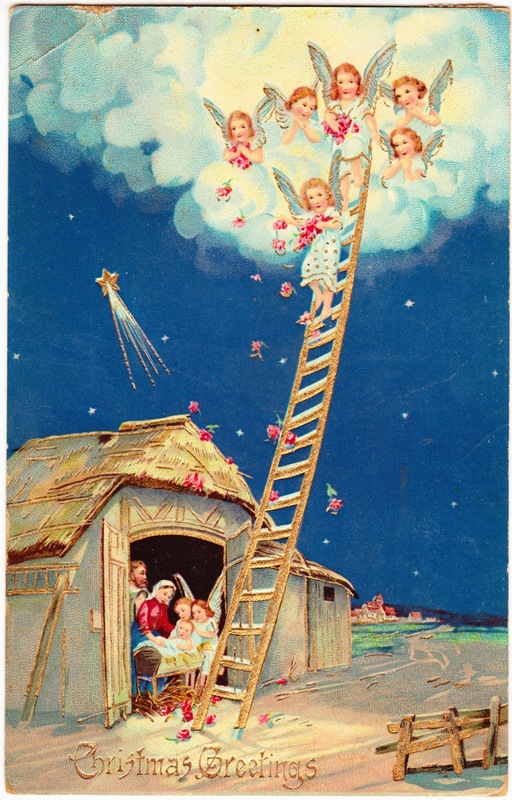 Here's another Christmas postcard sent to Mrs. Emma Berger of Foltz, Pennsylvania. 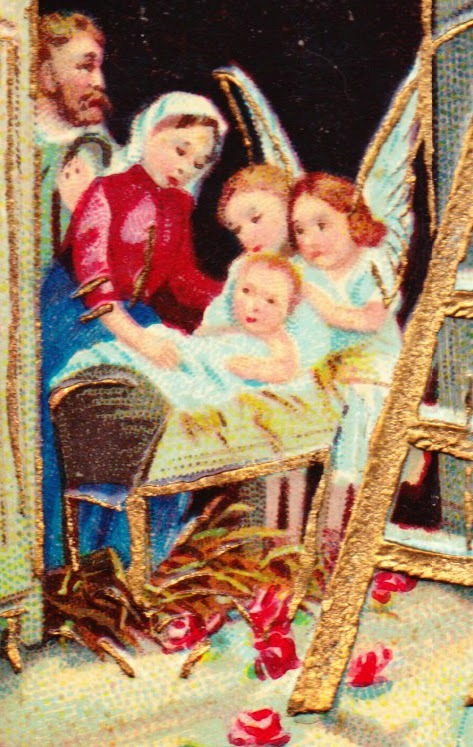 This one features an elaborate scene that adds blond angels, flowers, a ladder and a shooting star to the Nativity. 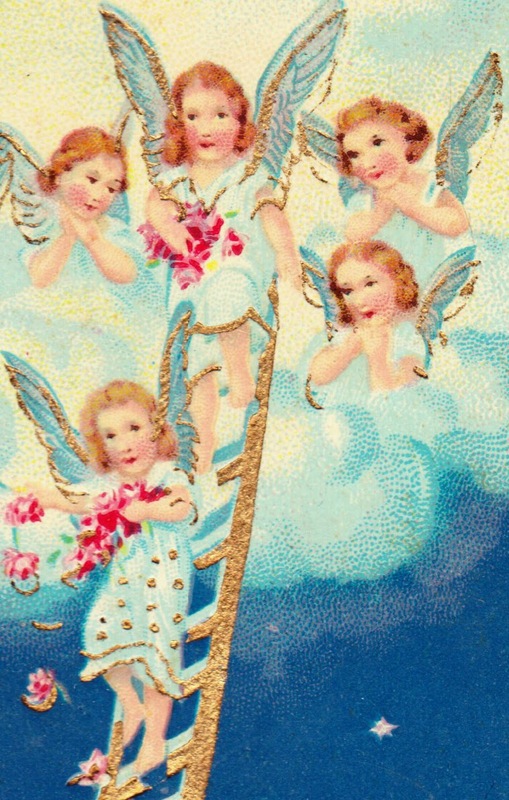 It is not entirely clear, however, why winged angels would need a ladder. Especially if they're not going to use it in the safe and recommended way. The card was printed in Germany. "With love and best wishes for the Holidays. Anna." Here are some detail shots of the colorful card. Holiday story time: "The Christmas Crab Apples"